Several State Board of Education officials have expressed concerns with a software company that appears poised to receive a statewide contract for teacher evaluations. An Idaho Education News review of more than 200 pages of emails and other state public records revealed a series of disagreements between the State Board of Education, the Department of Administration and Gov. Butch Otter’s office over a $1 million state earmark to purchase software to assist school districts with teacher evaluations. The Legislature approved $1 million in funding for the software for the State Board’s 2017-2018 budget. However, five months into the 2018-2019 budget year, the state has yet to finalize a contract and deploy the software statewide. On Monday, Department of Administration program specialist Diane Blume said the apparent successful vendor for the software program is Frontline Education Technologies Group, or Frontline Education. As of Monday, letters of intent to award the contract have been issued, but so far, “the contract has not been executed yet,” Blume wrote. The contract would be for two years, and valued at $490,000, Blume wrote. Otter alleged that Horman and Freeman tried to steer the contract to a “preferred vendor.” Although Otter did not name the preferred vendor in his Nov. 1 letters, other state records make it clear he was referencing Idaho-based software company Silverback Education and its Teacher Vitae software program. Both Freeman and Horman have vigorously denied wrongdoing. Months of email correspondence obtained by Idaho EdNews show that Freeman and other state officials wanted to purchase Silverback’s software because they believe the program fit Idaho’s needs, was already in use by about 60 school districts and would interface seamlessly with Idaho’s teacher evaluation framework. Freeman and other State Board officials hoped to purchase Silverback’s software with the state’s money. At one point, State Board officials expressed interest in purchasing Silverback’s software through a statewide Dell contract. On Jan. 25, a State Board official even received an unsolicited quote from Dell for just over $1 million for the software, but the Department of Administration and Division of Purchasing said the arrangement with Dell doesn’t allow the state to purchase Silverback’s software. The state then developed a request for proposals (RFP) to allow interested vendors to submit proposals to provide the software. A group of evaluators chosen by the State Board scored the proposals. But the Division of Purchasing recommended throwing out the evaluators’ scores of the proposals. One of the evaluators, retired Cassia Joint Superintendent Gaylen Smyer, was found to have a potential conflict of interest. In 2016, Smyer commented publicly on Silverback’s participation in the Instructional Management System Consortium, with his quotes appearing on the vendor’s website and in a newspaper article. The state then threw out the original RFP evaluation scores and brought in a new team of evaluators. The new evaluators produced different scores — this time Frontline scored among the top three potential vendors and Silverback did not. With Frontline emerging as a potential frontrunner, several State Board officials and school administrators began to question the company’s ability to meet the state’s needs based on prior work with the company. “My recommendation is that you check with the Board’s legal counsel on whether or not Purchasing can compel you to sign off on approval to award a contract to a vendor that we do not believe can perform the scope of work in the RFP and that the state has had a negative experience with through the Department’s contract with said vendor,” State Board chief policy and planning officer Tracie Bent wrote in an Oct. 10 e-mail to Freeman and Linder. Citing the concerns, Freeman sought to cancel the RFP before a contract was awarded. In a Sept. 13 email, he attempted to justify cancelling the RFP, writing that the RFP required the software to be deployed in August and that deadline had already been missed. Shortly thereafter, Otter intervened and instructed Freeman to go ahead and issue the contract, anyway. Otter’s Nov. 1 letter to Horman restated Otter’s desire to go ahead and award the contract. But delivery of the letter was botched. Although it was just intended to go to Horman, state records show Otter’s letter went out to as many as 24 other legislators — addressed to them personally by name. Rep. John Gannon, a Boise Democrat who unintentionally received the letter, was so concerned and confused that he scheduled a meeting with Freeman. “Both Rep. Gannon and I were quite concerned and perplexed because not only had he and I never, ever discussed the subject matter, he didn’t even know what the letter was talking about (and didn’t want to),” Freeman wrote in a Nov. 7 email to the State Board. Following the publication of Otter’s letter, the leaders of the Murtaugh, Fremont County and Moscow school districts and the Idaho Arts Charter School wrote letters saying they use Silverback’s software and don’t want the state to force them into changing programs to satisfy a state contract. “Governor Otter, I find it disheartening that you are reprimanding two state officials for questioning the procurement of a software program that may be the cheapest program but has been tried by many school districts and found to be poorly designed and cumbersome,” Moscow Superintendent Greg Bailey wrote in a letter obtained this week by Idaho EdNews. Efforts to reach Silverback Education executives for comment this week were unsuccessful. 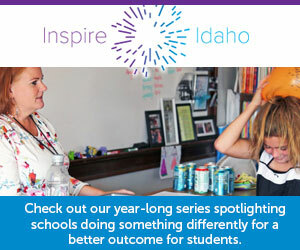 Idaho Education News data analyst Randy Schrader contributed research to this report. Fellowships here, scholarships there, awards everywhere. The Legislature was willing to let them expire. Little will need to act before July 1.